The Residence Mar is a 180m2 villa surrounded by 1100 m2 of Mediterranean vegetation garden fenced with old stone walls. The villa was originally built in the 16th century in a combination of gothic and renaissance style. 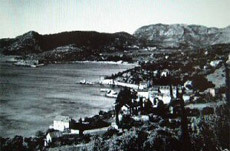 It is located in a small town of Mlini, situated 8 km south of Dubrovnik and 10 km north of the Dubrovnik Airport. Located in its vicinity are numerous coffee shops, restaurants, diving centre, supermarkets etc. Summer Residence MAR was build in 16 century in Gothic-Renaissance style. The basement is divided into a laundry room, toilet and garage. the main entrance door leads into a hallway followed by a spacious living room. The living room decorated with antique furniture is equipped with Wi-Fi internet and satellite TV. From the living room, you enter into a dining room and kitchen with a dining table seating 10 persons. The kitchen has all the necessary amenities: stove, oven, refrigerator, coffee machine, electric kettle, toaster, microwave, wine fridge. Both the dining room and the kitchen have access to the terrace with a breath-taking view of the bay. There is a table seating 10 persons and sun chairs on the terrace. the main entrance door leads into a hallway which leads into 4 double bedrooms. All rooms have their own bathrooms. Each room has a sea view. The entire villa is air-conditioned, has satellite TV, LCD TV and wireless Internet. There is a private swimming pool (aprox. 7,5 x 4 meter or 25 x 13 feet) in the residence garden. Swimming pool is open from 01.05. till 31.10. Swimming pool is closed from 31.10. till 01.05. The garden features a variety of Mediterranean vegetation (palm trees, cypress, oranges, lemons, olives, mimosa and seasonal flowers). Barbecue grill and an outdoor shower are also available in the garden. During the summer months, there is an hourly boat connection Dubrovnik-Cavtat-Dubrovnik with a stop in Mlini. 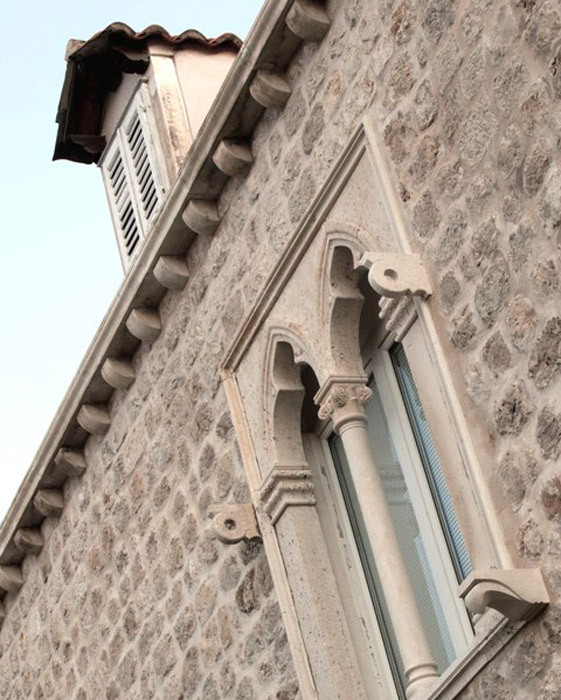 Summer Residence MAR is protected by Institute for protection of cultural monuments.